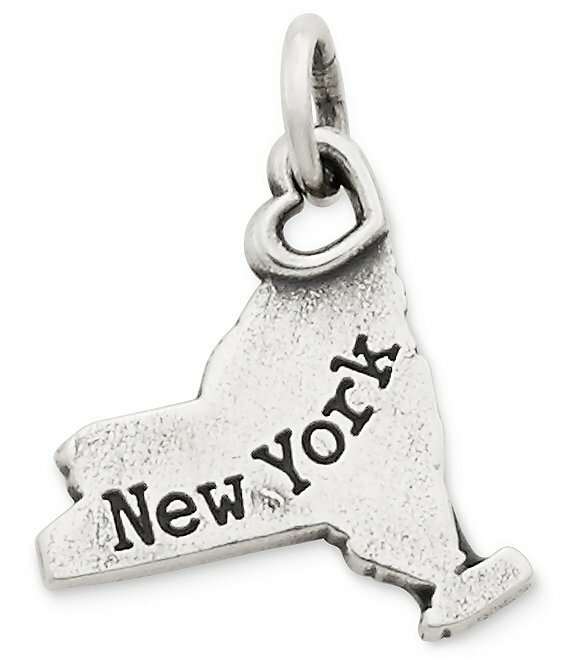 Express pride in your home state or remember a wonderful vacation with this New York charm. Due to the personalized nature of James Avery bracelets, we are unable to attach charms and customize your design at Dillards.com. Please visit your nearest James Avery store or the James Avery counter at select Dillard's locations to have your new James Avery charm attached at no extra charge. Most local jewelers will also attach the charms for a small fee.